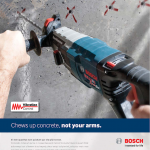 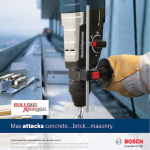 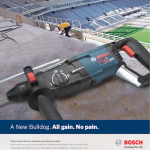 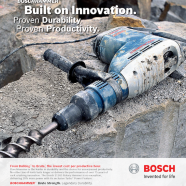 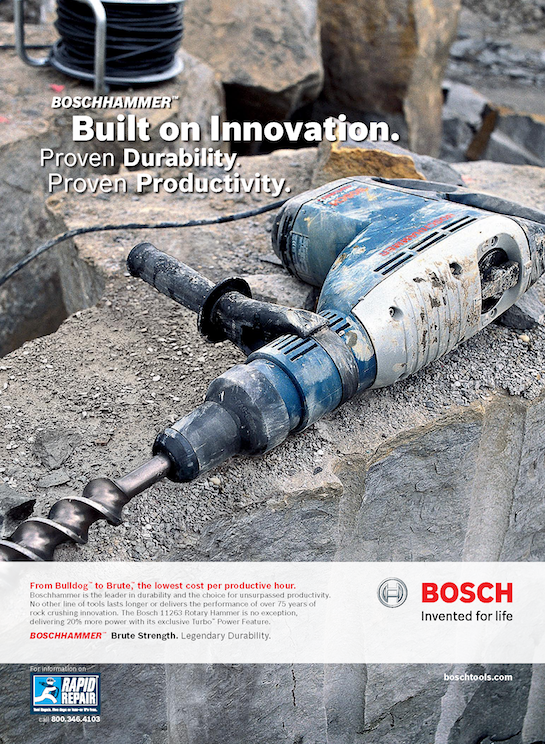 “Bosch Hammer Tools Print Ad.” Trade magazine print ad created for TGS. 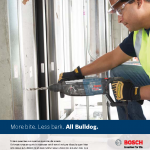 On the jobsite, the leading choice is Bosch. 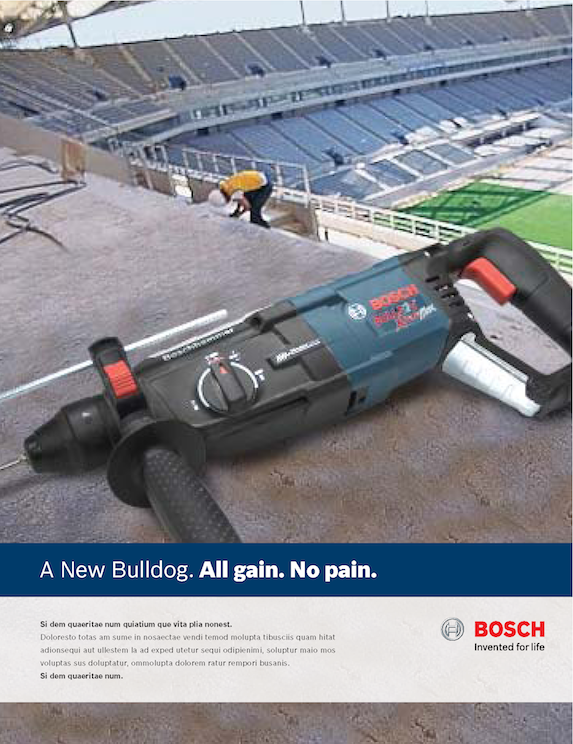 Following a story of innovation, we created ad concepts for every tool on the truck. 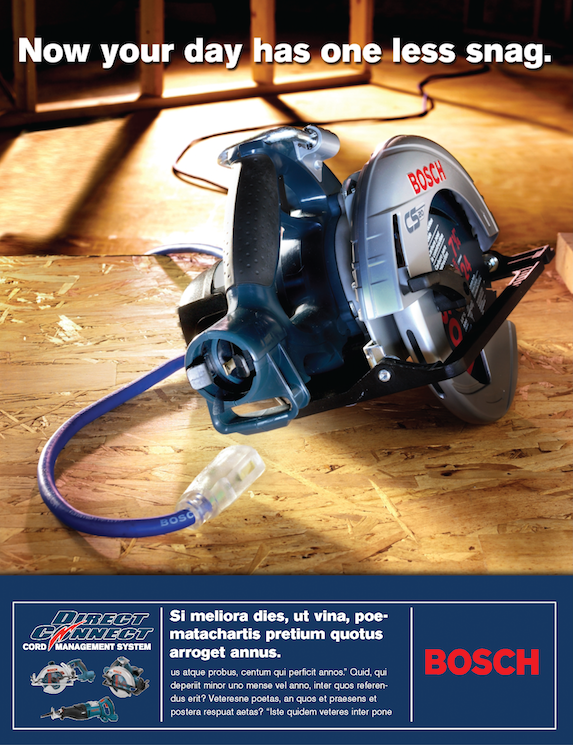 Bosch is a huge company in Europe and around the world. To define its leadership in the U.S. power tool market, we made innovation the leading story. 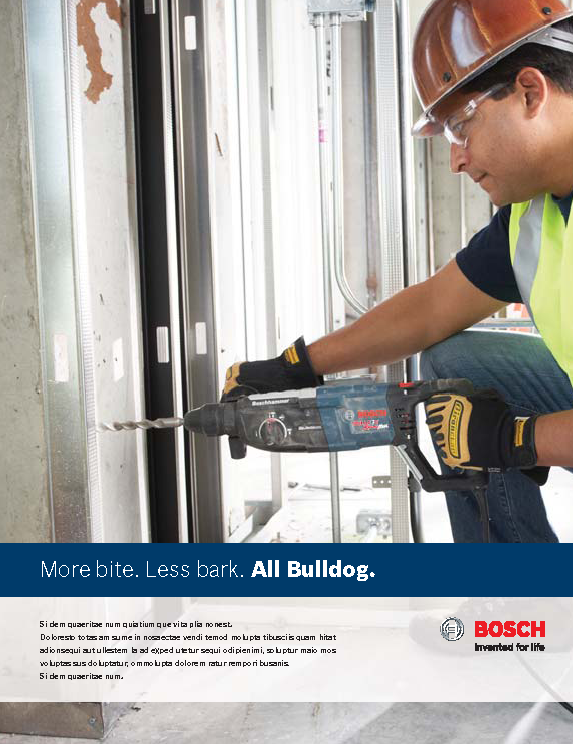 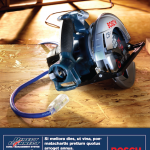 Through countless print ads and successful product launches at retail, we got professional users to choose Bosch at every turn. 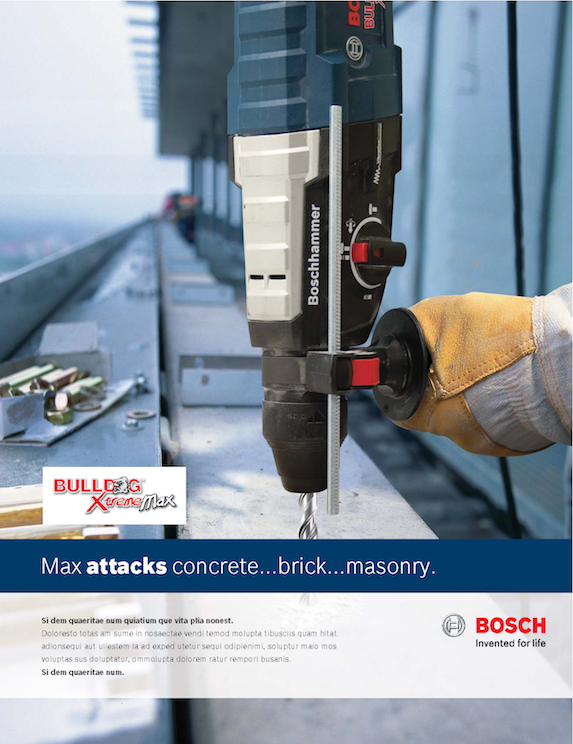 For these ads, our role was to create the look and feel and insert headlines that expressed each tool’s point-of-difference. 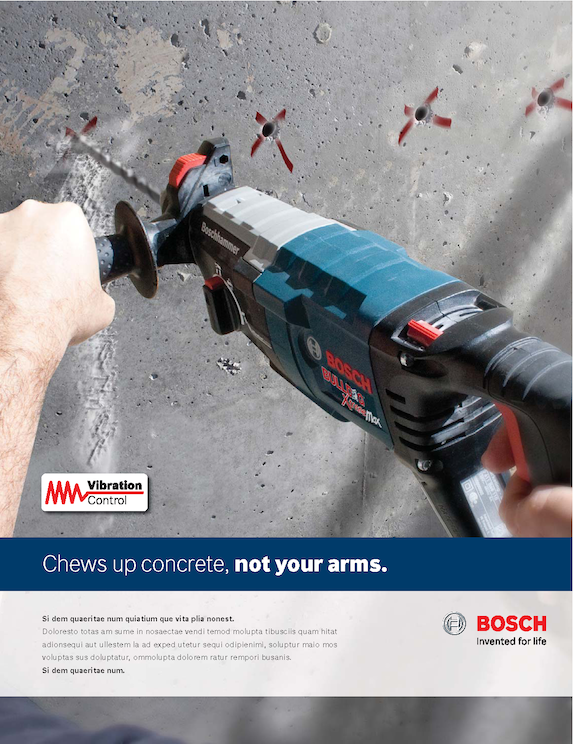 The specific Bosch marketing teams would then insert the approved feature copy.